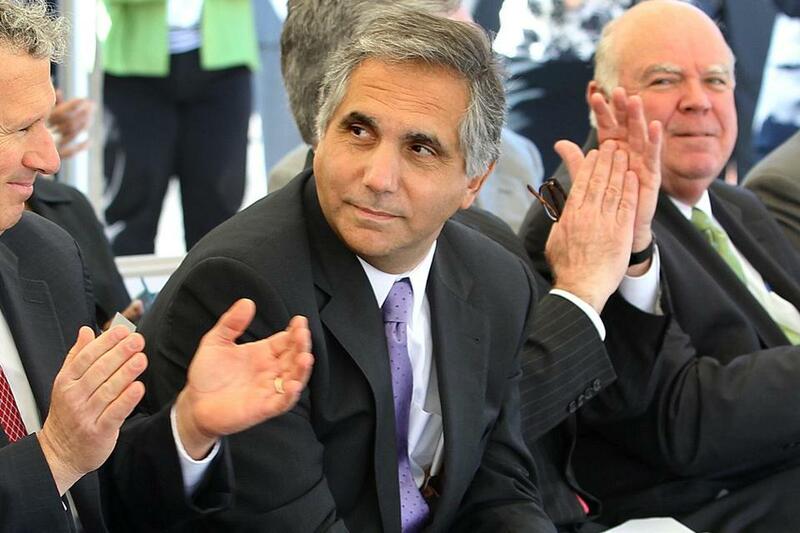 Industry insiders say Gary Gottlieb’s aggressive push for change and hands-on management style alienated many. But within months, parts of the plan started to fray. Regulators grew increasingly hostile toward Partners’ desire to expand, tens of millions of dollars in losses piled up at a new in-house health insurance arm, and some doctors and hospitals bristled at a push to standardize clinical practices. When Gottlieb said last week that he would step away from Partners next summer — leaving four years of a five-year contract on the table — the news rippled through the state’s tight-knit health care industry, raising questions about the organization’s direction. Partners remains the largest health system in Massachusetts and runs some of the nation’s most respected hospitals, including Massachusetts General and Brigham and Women’s. But health care industry insiders say Gottlieb’s aggressive push for change and hands-on management style alienated many people, from elected officials to labor leaders to executives at Partners’ own hospitals. Others faulted Gottlieb for what they see as mismanaging a bid to acquire South Shore Hospital and two Hallmark Health hospitals north of Boston. A deal with the state’s attorney general, Martha Coakley, that would allow the acquisitions to go forward is mired in controversy. A loud chorus of critics, led by competing hospitals, say Partners already is too dominant and too expensive. These days, there’s a growing strain of unhappiness infecting Partners HealthCare, the state’s biggest hospital system. Partners’ leaders, however, defend Gottlieb’s five-year tenure as he prepares to take a job at Partners in Health, a nonprofit unrelated to Partners HealthCare. Gottlieb “has helped shape and implement Partners’ strategy to offer patients more coordinated care, closer to their homes, at lower costs,” said Partners’ board chairman, Edward P. Lawrence. “But Partners’ vision for the future is bigger than one person. This vision and the strategy is shared and supported by senior leaders at our hospitals. “This strategy also has full support from the members of our board,” Lawrence said. Gottlieb, a psychiatrist with an MBA from the University of Pennsylvania’s Wharton School, is unapologetic about the moves he has made. When he became chief executive in 2010, after leading Brigham and Women’s, Gottlieb sought to use his medical and business background to reshape Partners as a new era of more coordinated care and risk-based insurance contracts was starting to sweep through the industry. Gottlieb embraced payment models that reward doctors and hospitals for keeping patients well, a shift from the traditional system that pays providers for every test and procedure, regardless of the outcomes. He also pushed doctors and hospitals to adopt high-tech health information systems, jointly buy medical supplies, and adhere to a set of common procedures for everything from strokes to knee and hip replacements to how to handle patients post-surgery. “He saw the changes that were coming and he started preparing Partners for them, even when some of his colleagues urged him to wait,” said Andrew Dreyfus, chief executive of Blue Cross Blue Shield of Massachusetts, the state’s biggest health insurer. Some executives at Partners’ prestigious Harvard-affiliated hospitals resisted the moves. They believed Gottlieb was micromanaging decentralized procedures and protocols that had long been successful, said people familiar with the organization’s operations. Additional meetings and time commitments demanded from Partners headquarters only increased the friction. Another high-profile initiative championed by Gottlieb, Partners’ takeover of Neighborhood Health Plan in 2012, gave the health care giant a foothold in the insurance business. But the Medicaid managed care plan has recently been deluged with claims for an expensive new hepatitis C drug and a surge of new members — many with serious health issues — assigned by MassHealth, the state Medicaid program. As a result, Neighborhood Health posted a loss of nearly $100 million in the first half of this year. And then there was the question of Gottlieb’s ability to work with organized labor and other groups. Partners grew rapidly after the 1994 merger of Mass. General and Brigham and Women’s hospitals. But Gottlieb’s predecessor, James Mongan, came to stress a “better not bigger” approach, partly in response to increased regulatory scrutiny. Investigators were wary of a widening gap between prices at Partners and its competitors. Partners today includes more than 6,000 doctors, 10 hospitals, and several other health facilities. Its most recent deal — last year’s acquisition of Cooley Dickinson Hospital in Northampton — was the first to reach beyond the system’s Eastern Massachusetts stronghold. Gottlieb channeled a widespread feeling at Partners that regulators were unfairly limiting its options while rival health systems were growing, especially Beth Israel Deaconess Medical Center and Steward Health Care. In early 2012, he opened talks to acquire the 318-bed South Shore Hospital in Weymouth, one of the largest remaining independent hospitals in Eastern Massachusetts. He then looked to the North Shore, where he pursued Hallmark Health System’s hospitals in Medford and Melrose. Competitors, antitrust specialists, consumer advocates, and others said the expansions would allow the high-cost organization to increase its already strong market power and demand higher payments from insurers. The Health Policy Commission, a state watchdog agency, said the South Shore and Hallmark deals, without proper checks, would raise health spending in the state by as much as $49 million a year. In the spring, Coakley struck an agreement with Partners that would allow the transactions, but require it to tie prices to the rate of inflation, alter its contracting practices, hire an expert to track how well it follows those terms, and limit acquisitions for seven years. The deal needs Superior Court approval, but Judge Janet L. Sanders has already voiced “serious concerns” about the impact of the settlement on health care costs. A hearing is scheduled for Nov. 10, after the state election in which Coakley is running for governor. But a decision is not expected that day, and could be months away. Partners executives have said bolstering their network of hospitals is critical to coordinating patient care and keeping costs in check through more efficient care. Gottlieb’s successor and Partners’ board will have to decide whether to stick with that approach. Critics say Partners under Gottlieb also left potential allies disenchanted. Boston’s mayor, Thomas M. Menino, was infuriated last December when Partners said it would consolidate administrative operations outside of Boston, relocating 4,500 employees to a new office in Somerville. Menino, who wanted Partners to build a new facility near Roxbury Crossing, was insulted that Gottlieb did not call to tell him about the Somerville decision. Partners’ board has not discussed whether the next leader should come from within the organization, as its past chief executives have, or whether it is time for an outsider. Likely contenders include Peter Slavin, president of Mass. General; David Torchiana, head of the Mass. General doctors group; and Betsy Nabel, president of Brigham and Women’s. All three are doctors. • Leung: What ails Partners Healthcare? 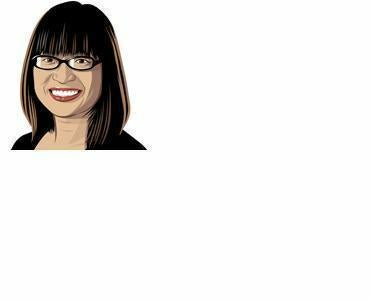 Globe columnist Shirley Leung contributed to this story. Robert Weisman can be reached at robert.weisman@globe.com. Priyanka Dayal McCluskey can be reached at priyanka.mccluskey@globe.com.